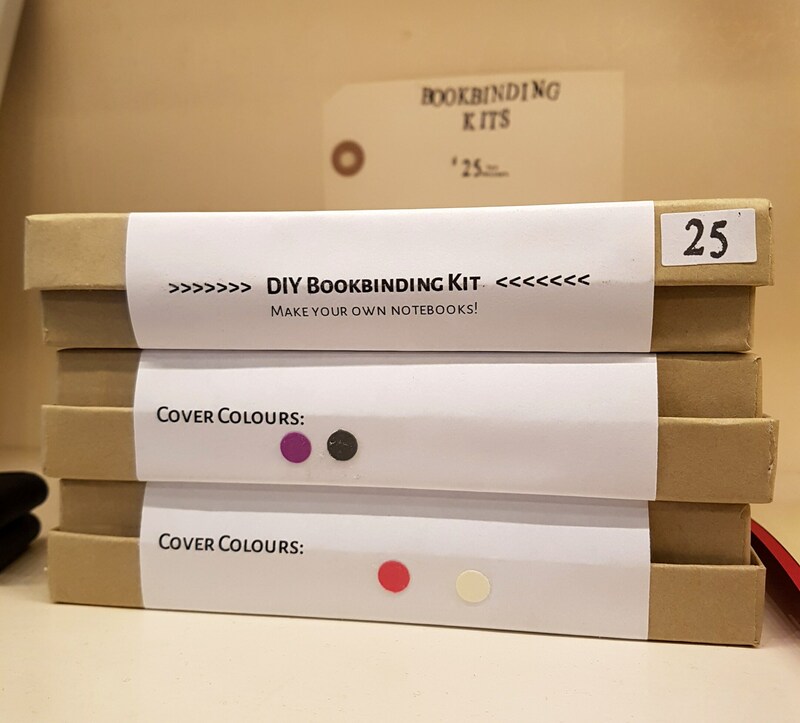 Bookmaking kits by Toronto based Sprouts Press are the perfect gift for the craft loving adult, or advanced level crafting kid! 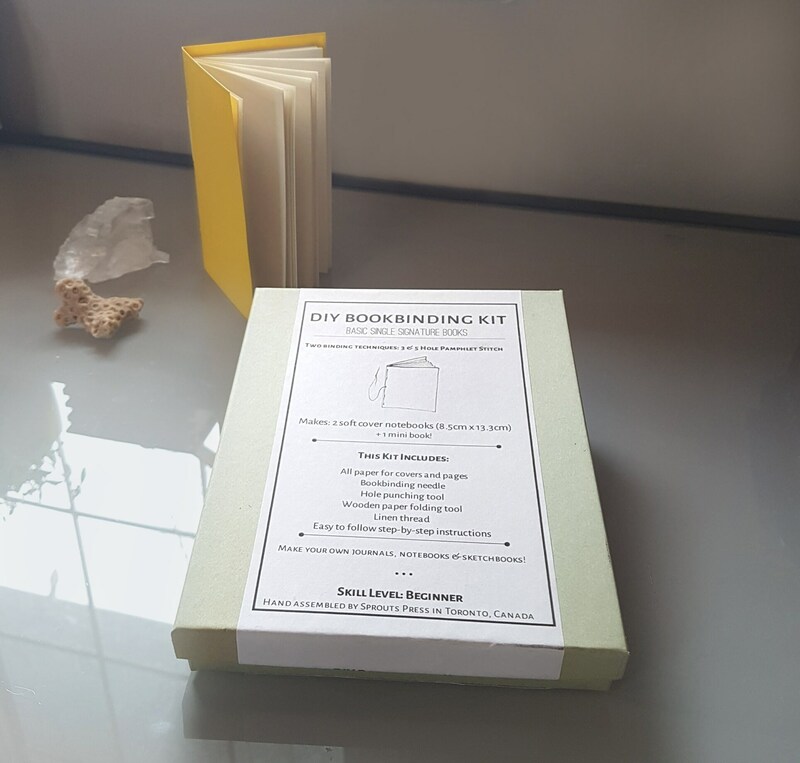 This craft kit contains all the materials and instructions needed to make two pocket sized notebooks and one mini notebook while learning the three hole and five hole pamphlet stitch. 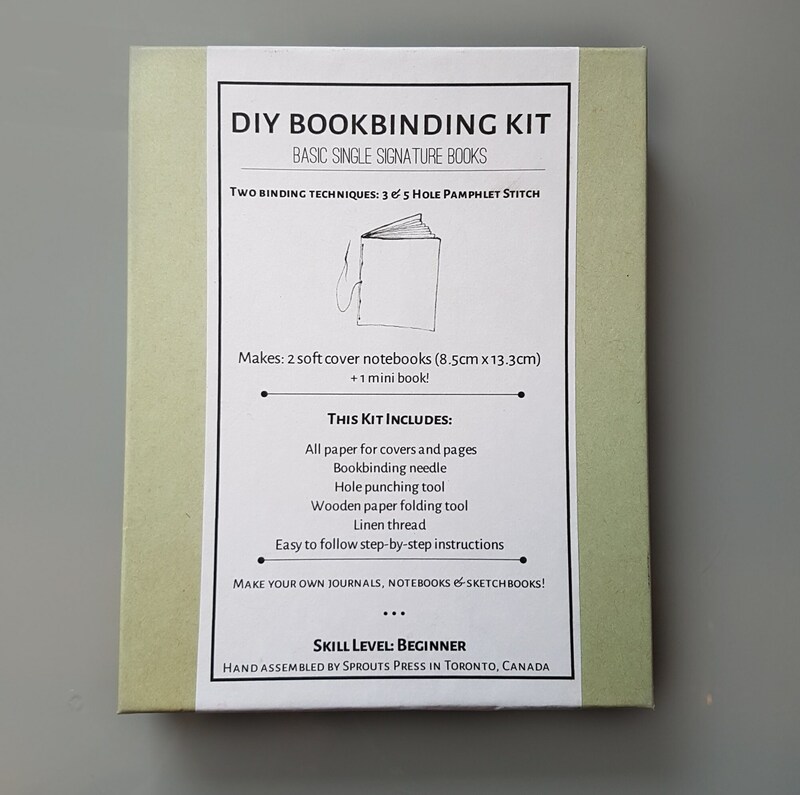 You will come away from this craft time with all you need to continue making books with all the tools needed and simple, easy to follow step-by-step instructions. 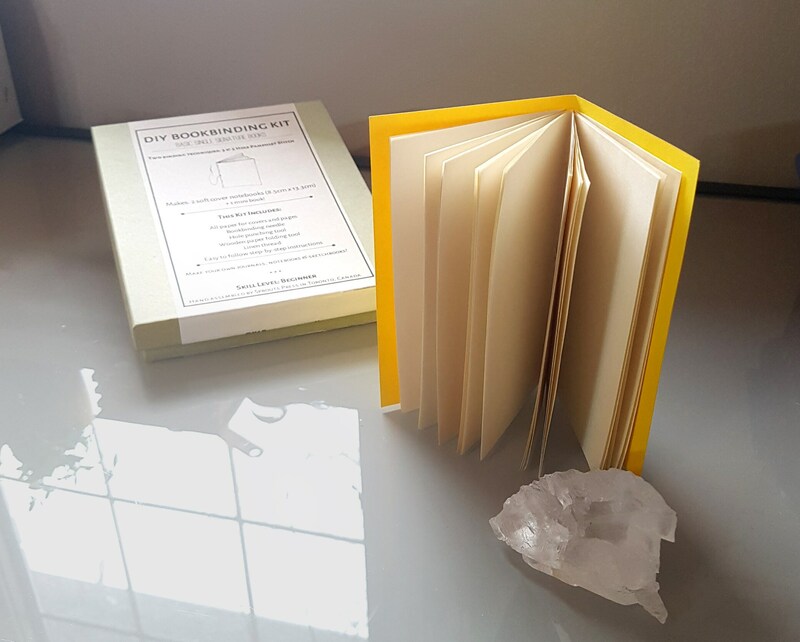 They make lovely gifts, journals, sketchbooks and once you're done you'll have the tools and instructions to continue making books. Easy to follow step-by-step instructions (Instructions written and illustrated by Carolyn Eady). Comes with either purple and grey cover paper or pink and white. Please specify which you'd prefer, more colour options coming soon!